95814 Digital is a full service electronic document center, providing quality imaging, scanning and electronic discovery services to the greater Sacramento Area. We can capture a digital image of your document. Scanning gives you the ability to manage, organize and quickly retrieve your document at the click of a mouse button. Scan Black & White and Color Documents – Scan any size and color documents, converting them to any viewable formats such as PDF, TIFF, JPEG and EPS. Burn to Disk – All format files and videos are burned to CD, DVD, Flash or External Hard Drive. We can also copy existing CD, DVD, audio and video tapes and convert tape files to electronic files. Electronic Numbering – We use the latest software programs to electronically bates number the documents. OCR Documents – OCR (Optical Character Recognition) is the process of converting an image of text (such as a scanned letter) into an editable text document that you can open in most document editing software programs. 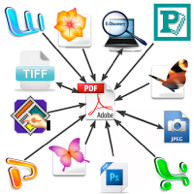 Searchable PDF – Scan and convert your documents, books, newspapers, and other publications and records to searchable indexed PDF files.